Britain’s Alex Dowsett learnt yesterday in the Tour of Beijing that he needs to hone his skills over the winter to complete in WorldTour races. 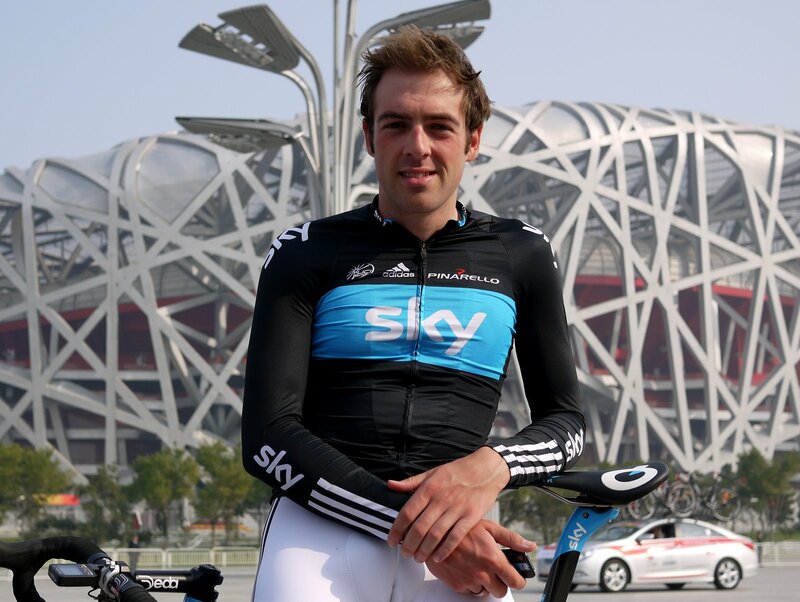 Dowsett held the young rider’s white jersey after the opening time trial. He led the race until David Millar and World Champion Tony Martin finished their rides. Martin still leads the race and Millar by 17 seconds with one day to go. However, Friday’s mountains were too much for Dowsett. He finished eight minutes behind the leaders and lost the white jersey. “I wasn’t good enough, in all the races I’ve done I haven’t done a climb like that since Critérium International,” added Dowsett. “I am not used to it, but that’s not really an excuse. The Tour of Beijing received top-level, WorldTour ranking for its first year this year. Dowsett turned professional this year with Sky and raced a full calendar, but never a race in the WorldTour. Despite Friday’s loss, Dowsett says he would return to the Tour of Beijing. “I don’t think anyone really knew what the climbs were going to be like because the profiles were a little misleading. They were a lot harder than I expected. It makes for a good race, but not for me. Dowsett won the British time trial championships this year and wore the national champion’s jersey for the opening stage. He also won the Tour of Britain time trial in London.